245 students completed the computer skills assessment during the Fall 2009 Student Success Day at Lake Superior College. All students enrolled in the FYE 1000 classes (First Year Experience) were invited to complete the assessment. To encourage their participation, each student who completed the survey was given a 2 GB USB drive with the LSC logo attached. Question 1 – How confident are you in your ability to use a computer? As you can see from the chart, the vast majority of students indicate that they are very or somewhat confident in their computing abilities. 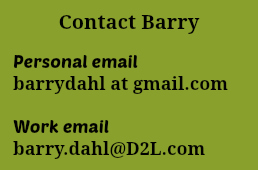 Question 2 – How confident are you in your ability to use email, including sending documents or photos attached to an email? 92% of the students who indicated that they were “Very confident” in their computer skills (n = 101) either completed 5 of 6 or all 6 of 6 tasks on the computer skills test. 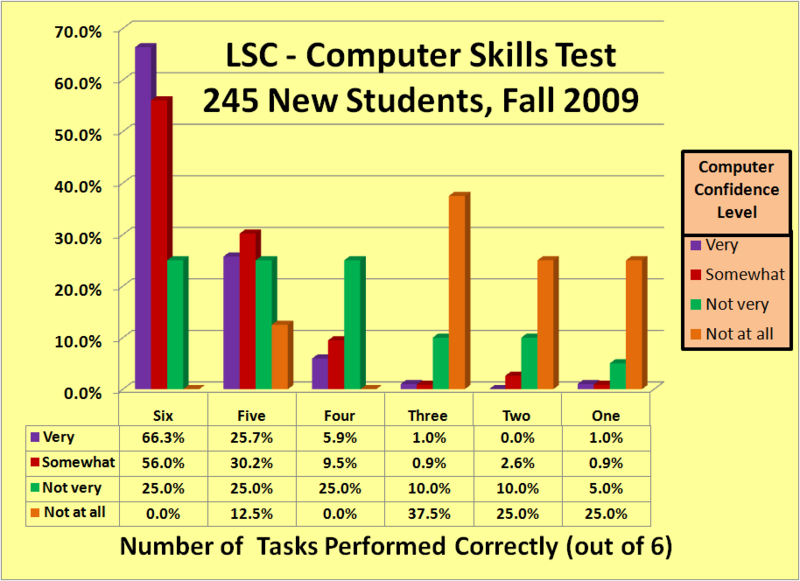 86.2% of the students who indicated that they were “Somewhat confident” in their computer skills (n = 116) either completed 5 of 6 or all 6 of 6 tasks on the computer skills test. 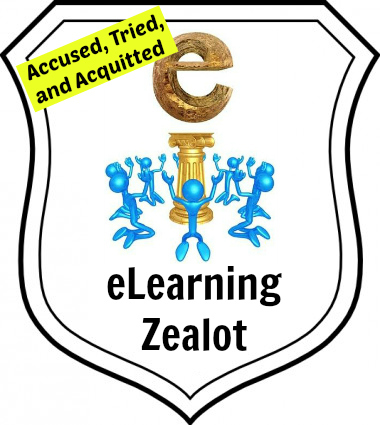 50% of the students who indicated that they were “Not very confident” in their computer skills (n = 20) either completed 5 of 6 or all 6 of 6 tasks on the computer skills test. 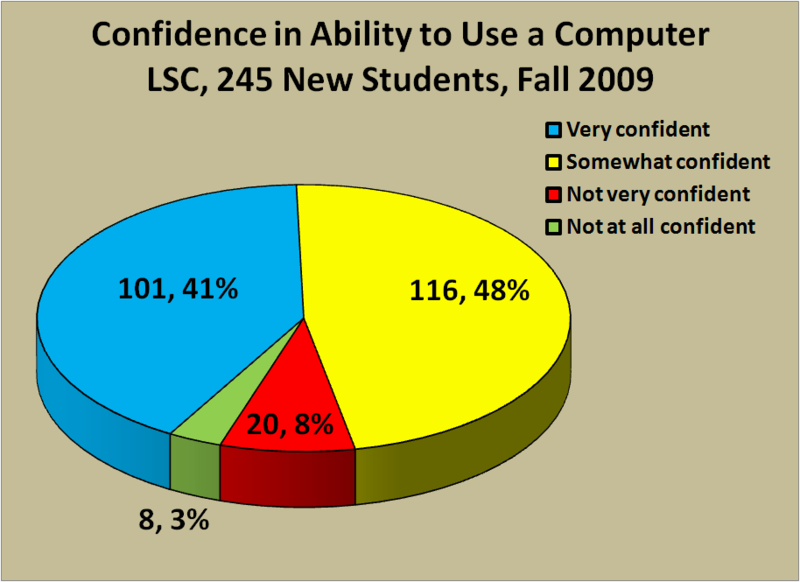 12.5% of the students who indicated that they were “Not at all confident” in their computer skills (n = 8 ) either completed 5 of 6 or all 6 of 6 tasks on the computer skills test. In the next post we’ll take a look at what those 6 tasks are and how well students performed on each of the tasks.